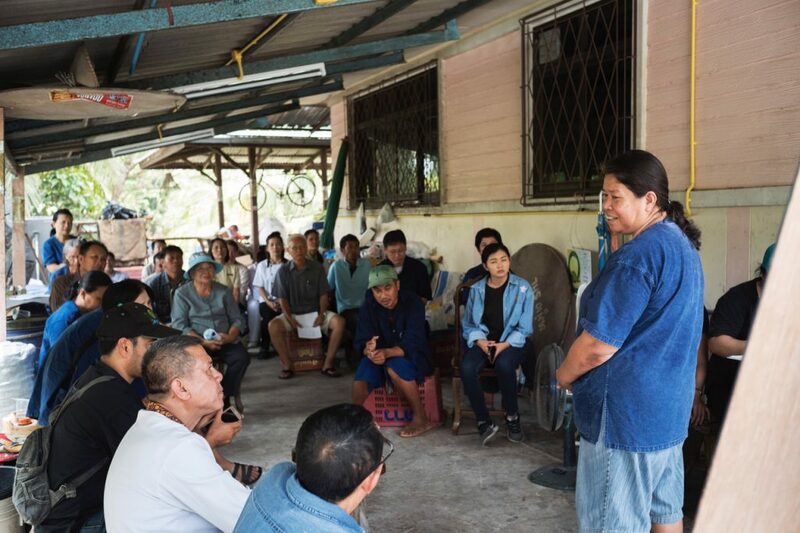 On 24 April 2018, Patom’s team joined organic farmers and the Sookjai Foundation at Khun Nalee’s organic farm for their monthly meeting. First thing’s first, attendance has to be taken to keep count of who is still in the group. It is mandatory to attend all meetings for members of the Bang Chang group. Not attending a meeting means that the farmer can no longer belong to the group, and therefore, cannot sell their produce at the Sookjai Market at Sampran Riverside. 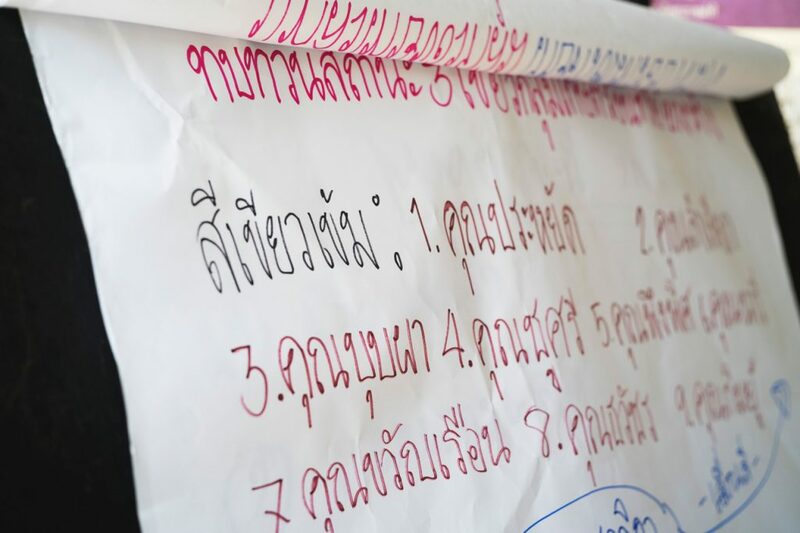 The Bang Chang group came up with their own PGS (Participatory Guarantee Systems), which allows the farmers to be responsible for up-keeping their group’s rules. Khun Nalee tells us about how she transitioned from conventional to organic farming. Her parents were farmers and heavily used chemicals on their crops. Using pesticides and chemicals makes the crops grow faster, and keeps the fruits looking unblemished for the market. However, we hear little about the consequences that these chemicals have on the people that are exposed to it everyday. Khun Naree’s father passed away because of agro-chemical related reasons, which was all the motivation that she needed to start farming organically. As consumers, we need to understand that we have a say in how farmers grow their crops, and have an influence on their wellbeing. 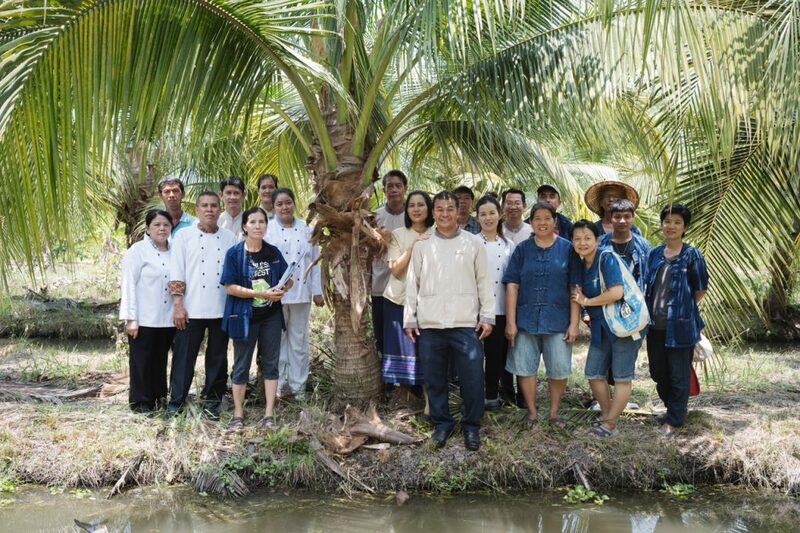 Today, Khun Naree’s farm is certified organic to IFOAM standards. Khun Nalee talks about why she became an organic farmer. The organic farmers’ groups follow a PGS system (Participatory Guarantee Systems) a system built on trust. May and June 2018 will be focused on what the Bang Chang organic group grows. The Bang Chang group is known for their guavas, bananas and coconuts. 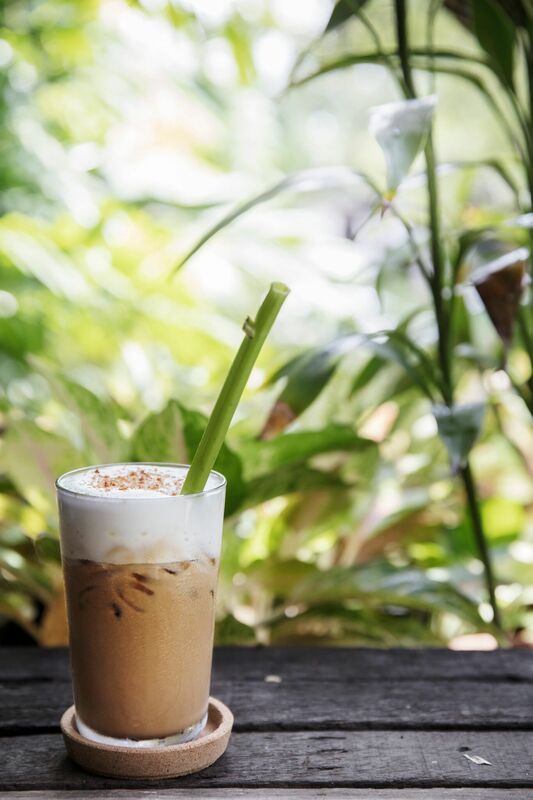 For the next two months, we will be showcasing guava desserts, teas, and snacks at Patom Organic Living. Stay tuned for more information on that soon. This meeting also marked the first time that Patom’s team started talking to organic farmers about developing their own products. We have found that it would be more impactful for the farmers to become self reliant. By adding value to their products, drying, freeze drying, or creating a new snack using their ingredients, farmers can earn more from their hard work. This adds a new dimension to their work, and empowers them to start thinking about how to do business. The meeting was positive, and a few farmers have shown their interest in learning more about developing their own organic products. We will keep you posted on the progress of our new project with the farmers. Members of the Food and Beverage team from Sampran Riverside and Bang Chang organic farmers. We also brought our Food and Beverage team from Sampran Riverside (our parent company) to meet the farmers. Sampran Riverside buys around 700,000 baht worth of organic produce directly from farmers per month. It is very important for all members of our team to understand the hard work that the organic farmers. It brings a whole new level of appreciation for the farmers and their hard work. The chefs at Sampran communicate with farmers groups in Nakorn Pathom to see what is available daily. Working with organic farmers means that our chefs are experts at creating dishes when they receive the produce that morning. This is how we should all be cooking and eating: seasonally and what is available in the market. Keep posted at Patom Organic Living to see what guava desserts, body care products and drinks we have coming in May and June!